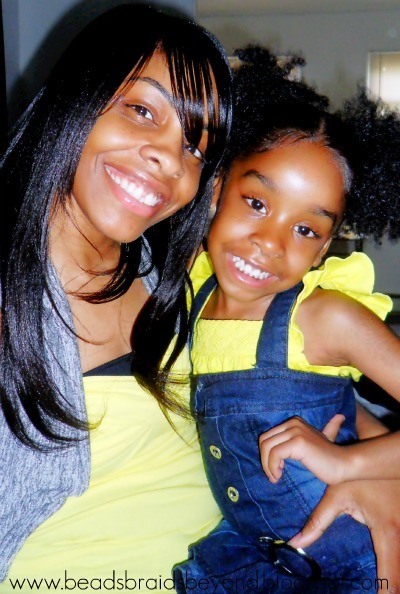 Ok, my name is Sophia and my little diva name is Nevaeh which is heaven spelled backwards and she's 5 years old :-). I always wanted to name my daughter Nevaeh ever since I was little, I have always loved that name. 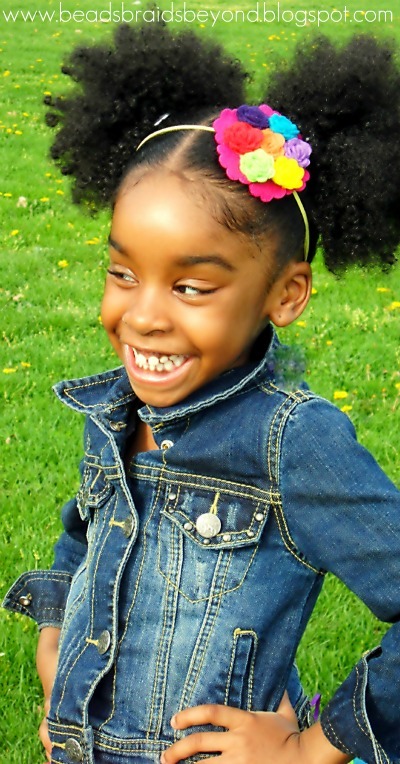 Her nickname is Vayvay of course to others, but I call her my stinkin honey cakes :-) . She was born 3lbs 11ozs with a head full of bone straight hair, but if you look at her now you will find that a little unbelievable lol. 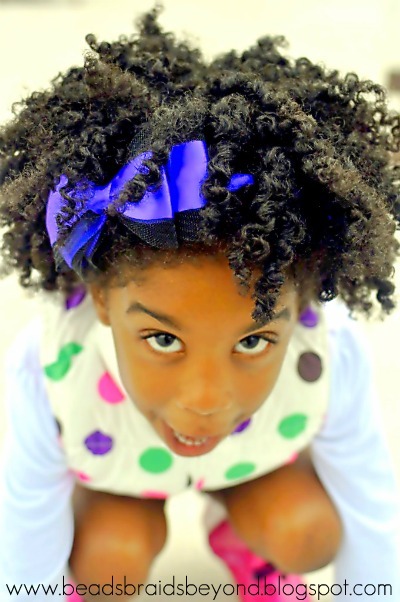 What is your daughter's hair care routine? With her hair I use more conditioner then shampoo. I condition it every week using mixed chicks deep and leave-in conditioner,or miss jessies super sweetback treatment. They all work great on her curls. Once I condition her her I usually twist it wet or dry using Miss Jessie's Curly Pudding or Baby Buttercreme so the following day I can do her twist out. 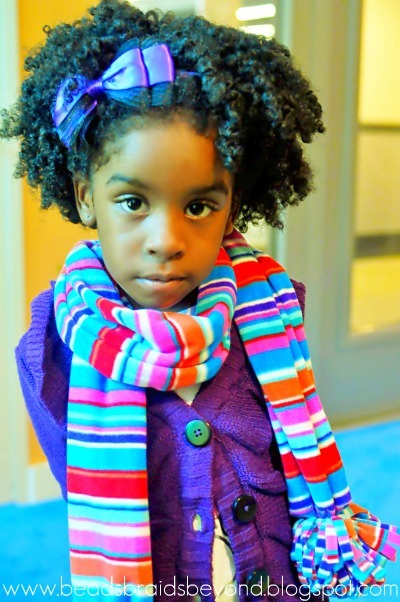 I usually do twist outs when she has a casting call or a fashion show. I shampoo her hair once a month or every two weeks with Miss Jessie's Super Slip Sudsy Shampoo which is a great detangling shampoo.Once washed I usually twist it wet or dry to have it curly for the following day. How long do you leave her styles in? Her hair is so curly when i do styles such as cornrolls with beads it usually only last a week because its starts to look as if she had it in forever lol. But her twist styles last a while because after the twist look gets old i take it out and now she has the twist out style which last for about another week or so. She wears the twistout out curly or I put it in two curly ponytails,a mohawk or half ponytail which is a new fave of mines :-) . I try to do her hair as often as possible because I know stimulating the scalp helps it to grow and stay healthy because your caring for it. Do you do anything special for bed? The only thing I do before bed is take her bows out that she had in for the day and tie her loose ends down. Nothing special but i am starting to change that maybe putting on a scarf or cap, I hear its good for her hair. Also buying her a silk pillow case. What kind of products do you use on her hair? 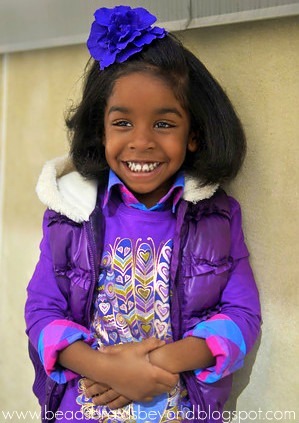 The products I use in her hair are Mixed Chicks leave-in and deep conditioner, Miss Jessie's Super Slip Sudsy Shampoo and Miss Jessie's curly pudding. I use a few other Miss Jessie's cremes but curly pudding is what i use everyday. It's light on her hair ,makes it shine, smells good and brings out her curls. Have you ever used chemicals on her hair? 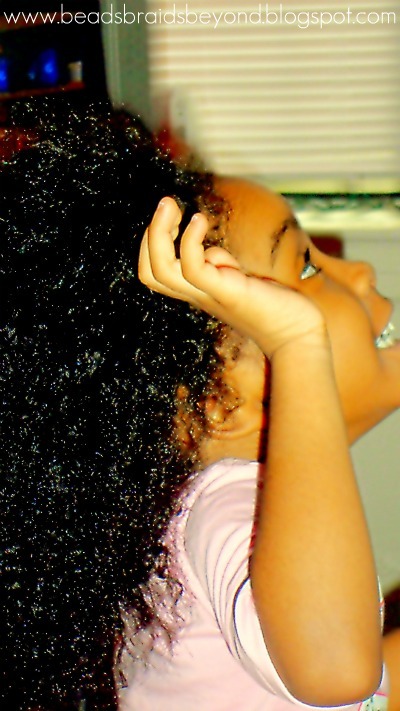 I have never used any chemicals in her hair I love her natural curls! I don't think she will want to use any chemicals either but as she gets older it will be her choice. As for now we are both in love with the curls :-) . Can we see a few of your favorite styles? How did you learn to do all of this? My mom went to cosmetology school when she was younger so she basically taught me everything I know ,and I also went to to cosmetology school after high school so I apply things I learned as well. How does your daughter feel about her hair? She loves her hair she always wants to wear it out or in "two puffs" as she calls it. She loves the attention she gets when we're out and about. People just love her hair especially when its all out and big! Can we see her favorite style? sure,I asked her whats her favorite hairstyle and she said she likes it straight because it looks like mine :-) she's so sweet. Although her hair has only been straightened once for a photo shoot with Labella Photos I guess she loved it. If you had to share one hair care tip, what would it be? It will be to try not to shampoo so much because your stripping the hair of its oils. 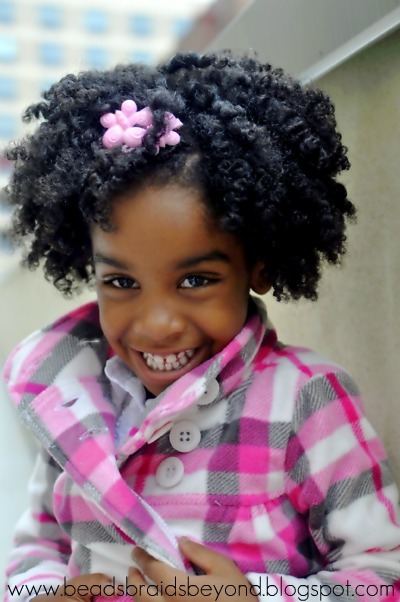 A co-wash once a week and maybe a shampoo once a month should be good, and keep the hair moisturized at all times! Beautiful hair, I love the style with the tutu on so cute! She's too gorgeous! Lovely hair! 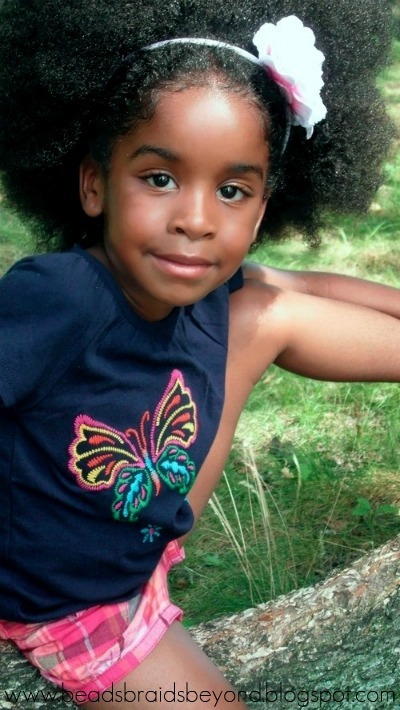 She's so pretty, I love her big hair and puffs!!! Baby girl is too gorgeous... Looking just like her mother!!! Lovely blog post! 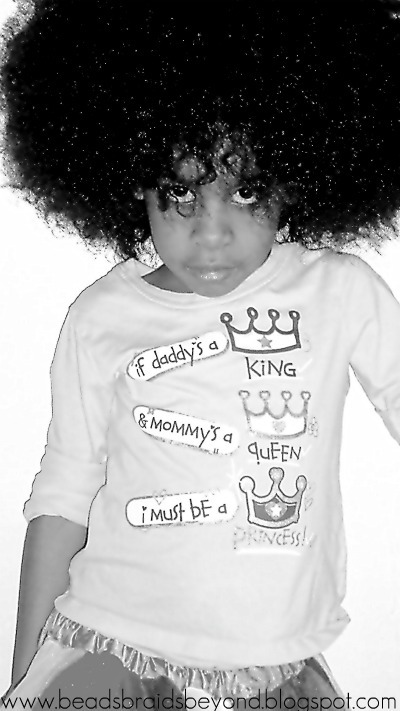 She is super cute - I love her hair! She's beautiful...and she looks sooo much my daughter, Gabbie. Wish I could post a picture so you could see.